Why Do Politicians Care About International Test Score Ranking? It was all the way back in 1983 when a government report titled "A Nation At Risk" warned that US public schools were falling behind other nations and that this would lead to future economic woes. The report shocked policymakers at all levels. The president at that time, Ronald Reagan, changed his position on the importance of having a federal department of education. He promised to begin education reforms that would return the US to top placements in global education. Every president since Reagan has also made the same promise. The US has seen Clinton's "Five Strings", Bush's "No Child Left Behind", and Obama's "Race To The Top." Yet the US continues to hold average rankings on International test scores (more detail below.) How does the US rank internationally? Is this a good measure? Do test scores really indicate future economic growth? What Is the PISA and What Does It Say About the US? PISA stands for Program for International Student Assessment. It is a test given in participating member countries of the Organisation for Economic Collaboration and Development (OECD.) Countries must opt-in to take the test. The PISA test is given every three years to randomly selected schools in participating countries. The test covers reading skills, math skills, and scientific literacy among 15-year-olds. The test is designed to show how well students nearing the end of compulsory education will be able to apply their learned skills to real life situations. The last test results that have been published come from 2012. At that time, the US ranked 17 out of 34 in reading, 27 out of 34 in math, and 20 out of 34 in science. This places the US school rankings as mediocre for reading and science skills, and below average for math. The US participated in the 2015 PISA. Results from PISA will be issued in early December 2016. While nationwide data does indicate areas of educational success and areas where improvement is needed, local communities—especially we parents—need to participate in reforms for reforms to be successful. Data and research may tell us what our children need to improve on, but local teachers and parents are often best at deciding how that improvement can occur. We understand our children and know how they learn. We can participate by joining our PTA/PTO’s, school site councils, school board committees, and voting in local elections. We also hold great influence on our children's school success. Researchers have found that when we have high expectations for our children in school, they do better in school. What Do Economists and Policy Makers Say About The Importance Of U.S. School Rankings? Several economists and policy makers believe that the quality of education is a major factor in determining the quality of a nation's human capital. In other words, nations with high ranking PISA scores have better-trained workers that will spur greater economic growth and prosperity in their nations. Nations that are top performers on the PISA, including China, Singapore, and Japan have also had strong economic growth. Still, not everyone is convinced that high PISA rankings affect national economies. Detractors of this idea, such as Diane Ravitch, an Education Professor at New York University, cite a short history of comparable test data between nations. The US has had average, mid-level rankings on international tests going back to the 1960's. Still, the US has remained a strong economic power into modern times. There is still more economic research that counters the detractors. Stanford University economists analyzed data from 1960 to 2000 comparing how cognitive skills relate to economic growth. They found that the cognitive skills (like those measured by PISA) of a nation's students affect that nation's future economic growth. The Stanford economists noted that it was the skills that students gained that actually mattered for economic growth. It isn't just the amount of time at school that matters, it is how much students learn while they are at school. They also found that other national policies such as openness to trade and intellectual property laws had a strong influence on economic growth. What the conclusion of the Stanford economists suggests is that while the US may still be an economic leader today, we risk being overtaken by other nations with stronger PISA scores and effective economic policies. The lag in the amount of time it takes for a school child to join the workforce creates a lag time to notice the effects that education quality has on the economy. Why Does This Matter to Parents? Economic research suggests that the quality of education our children receive today will affect the future economy and our children's resulting quality of life. Providing our children with a world-class education is one of the factors for them to become global innovators and leaders during their time. It will also influence the state of the national economy during our retirement. What Are the Current Efforts to Improve Our PISA Ranking? Any educational reform aimed at improving the quality of education US children receive should also help to improve ranking. Remember, PISA is designed to test applicable, real-world skills gained in reading, math, and science. The US faces a unique situation in terms of educational reforms. Our school system began with local, neighborhood schools. Parents and community members came together and decided to have a school. Every decision about the school was originally made at the local level, including who would teach, what would be taught, who could attend, school calendar dates and more. This grassroots system allowed schools to teach to what was needed locally. Local, parent influenced schools are part of our national heritage. This local emphasis does have one downfall - different states and different school districts varied dramatically in the skills taught to students. Concern over our national school quality lead to another test, the National Assessment of Educational Progress (NAEP) being issued every two years in grades 4-8 to compare educational quality between states. The intent was that NAEP results could help provide data to national and local educational policy makers. This is where your states' national standardized test score comes from. Pu simply, NAEP results have shown that certain states (like Massachusetts) are consistently top achievers while other states (like Mississipi) consistently rank low. The top performing NAEP states also have very competitive PISA scores, while low performing NAEP states do not. This has lead to a variety of education reforms in the last few decades. Currently, this is one factor which is driving the Common Core State Standards (CCSS). The CCSS is an attempt to get each state to teach the same competitive skills taught in the top-ranking states. While states are not required to use or adopt the CCSS specifically, the current update to the Elementary and Secondary Education Act does require states to adopt standards that are as rigorous as CCSS. CCSS standards cover reading, writing and math - not science. There are a variety of science education reforms occuring in the US now. One is the creation and adoption of the Next Generation Science Standards. These standards were designed to complement CCSS. These standards emphasize thinking and analyzing, rather than rote memorization. Being able to solve new problems is a much more useful skill in today's rapidly changing world then memorizing data. The emphasis on STEM (science, technology, engineering and math) skills and increased time during the school day being spent on science and math is another education reform that is spurred by a look to future economic growth. Different states and local school districts are also trying to find ways to increase student learning, so that every child across the US will have access to a high-quality education that will prepare them for the future. Eric A. Hanushek, Dean T. Jamison, Eliot A. Jamison and Ludger Woessmann. "Education and Economic Growth - Education Next." Education Next. Hoover Institution, Leland Stanford Junior University, Mar.-Apr. 2008. Web. 07 Nov. 2016. "PISA - OECD." PISA - OECD. Organisation for Economic Cooperation and Development, n.d. Web. 07 Nov. 2016. Ravitch, Diane. 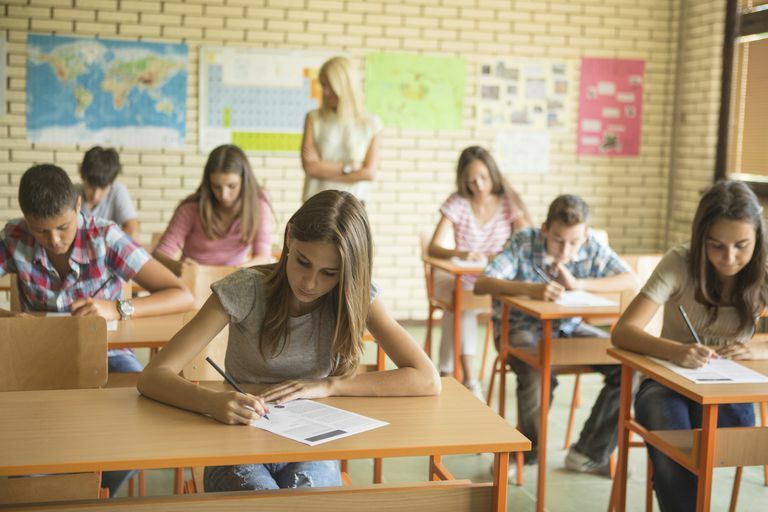 "What You Need to Know About the International Test Scores." The Huffington Post. TheHuffingtonPost.com, 03 Dec. 2013. Web. 07 Nov. 2016.